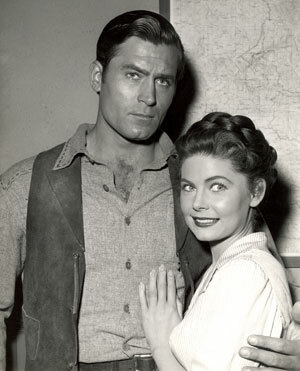 With Joanna Barnes in “Cheyenne: Dead to Rights”. 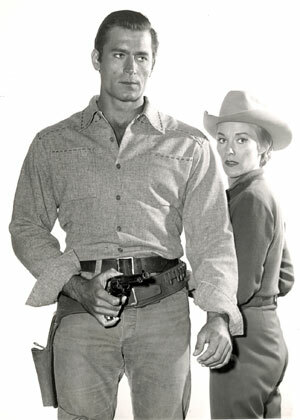 With Penny Edwards in “Cheyenne: Johnny Bravo”. 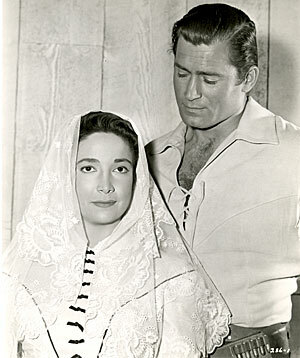 With Olive Sturgess in “Cheyenne: Renegades”. 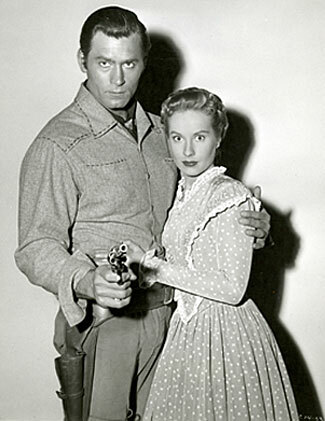 With Ann Robinson in “Cheyenne: Mountain Fortress”. 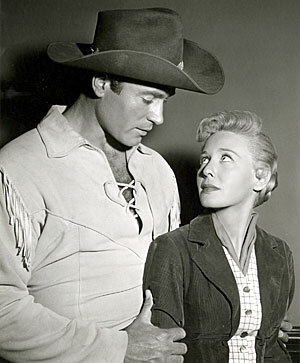 With Andrea King in “Cheyenne: The Law Man”. 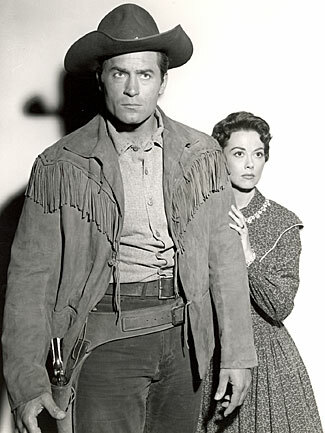 With Randy Stuart in “Cheyenne: The Long Search”. 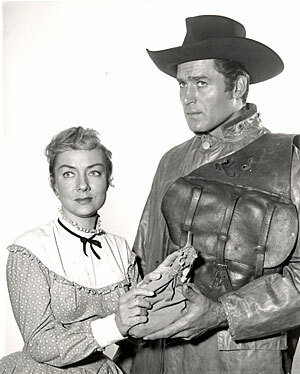 With Ann McCrea in “Cheynne: Wagon Tongue North”. 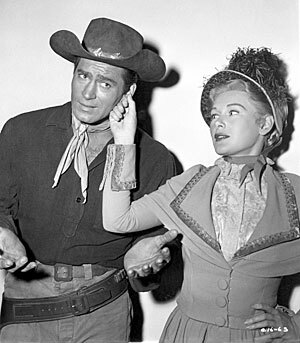 With Ann McCrea in “Cheyenne: Wagon Tongue North”. 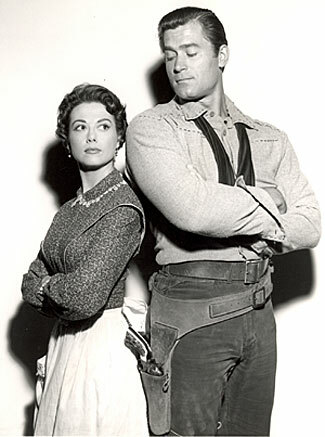 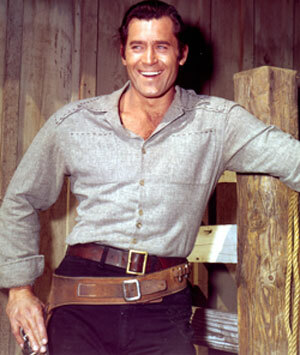 With Jeanne Cooper in “Cheyenne: Top Hand”. 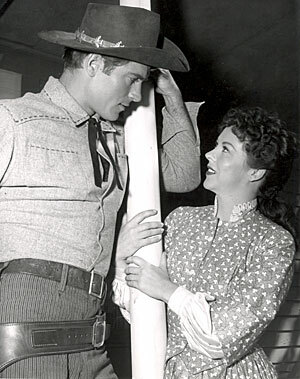 With Theona Bryant in “Cheyenne: Noose at Noon”. 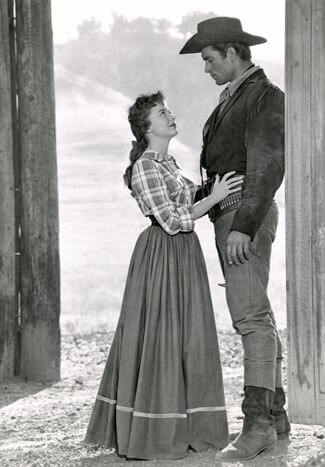 With Nancy Hale in “Cheyenne: Decision”. 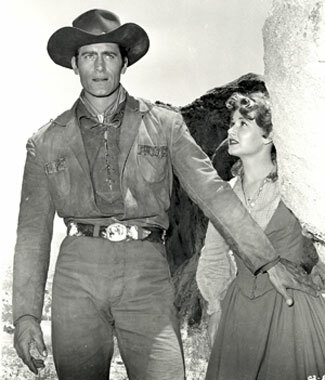 With Dani Crayne in “Cheyenne: The Iron Trail”. 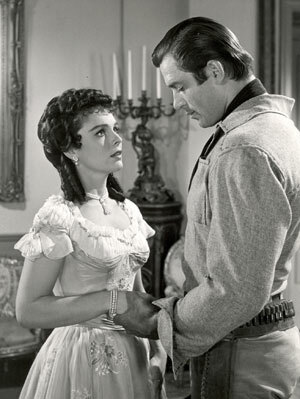 With Faith Domergue in “Cheyenne: The Rebellion”. 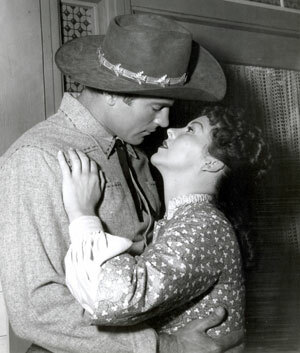 With Adele Mara in “Cheyenne: The Angry Sky”. 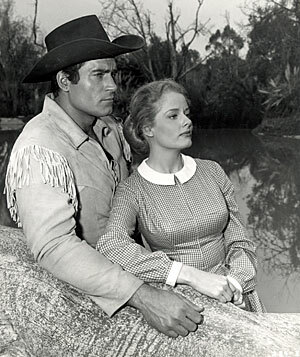 With Erin O’Brien in “Cheyenne: Border Affair”. 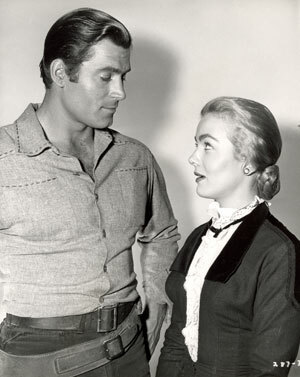 With Audrey Totter in “Cheyenne: The Empty Gun”. 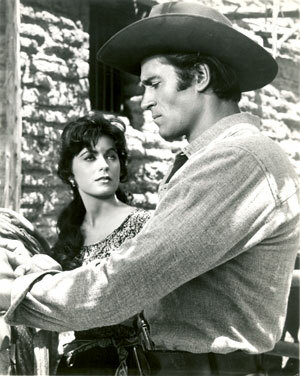 With Joy Page in “Cheyenne: Standoff”. 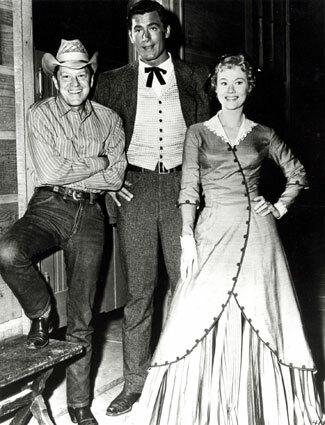 With Virginia Mayo and husband Michael O’Shea while making “Fort Dobbs” in Kanab, UT. 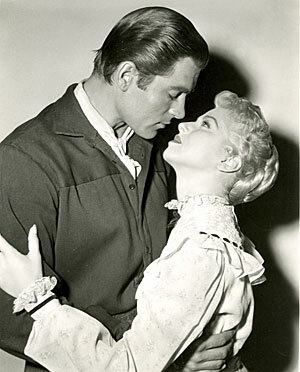 With beautiful schemer Diane Brewster in “Cheyenne: The Dark Rider”. 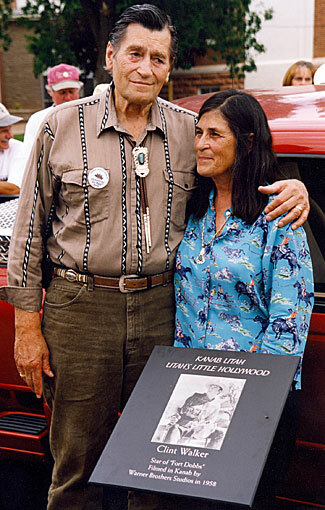 Clint with his number 1 leading lady, wife Susan.